Q. How do I cite this EBSCO eBook? If entire words in the citation are capitalized, change it so that only first letters are capitalized. Littlefield Education, 2011. eBook Collection (EBSCOhost). Web. 7 Feb. 2012. 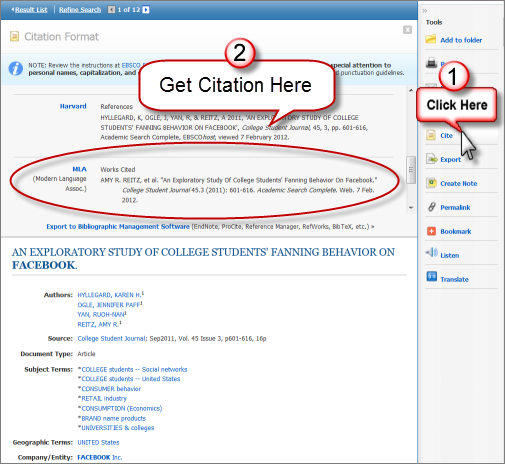 To email it to yourself, click on the email tool on the right side of the book (looks like an envelope) and enter your email address and citation style preference.